How have you been praying lately? Praying with words you think you should say or praying from where you are and being totally honest with God about what’s going on inside your heart? When we pray, we want to come to God with sweet flowing words. Words full of faith. Words as sweet as honey. Because He deserves them all and we, His daughters, all we want is just to please Him. And sometimes, we hide that creeping loneliness or that brokenness in our soul… afraid that God would not be pleased with such offering. Tonight…I don`t come with profound words that could make a little poetry book… Not with the usually bubbly tone that shouts “Daddy!” as I run to Him from afar. I come with my little offering in my hands–and a very unlikely offering at that. I come with shattered, broken pieces in my hands. I know God accepts hearts that are offered to Him. I know He accepts prayers whispered to Him. But how about broken hearts? 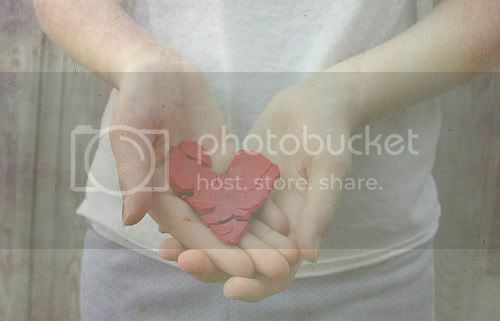 Would Daddy accept the broken little heart offered by His daughter’s hands? When little girls break something, they hesitate to come to Dad. We fear how he would react. Will he get angry? Is he gonna blame me? We have these things running in our minds. Perhaps a little afraid. Ashamed. But Daddies… they’re always ready to fix Barbie’s broken leg. Untie that knot on our rubber shoes. Glue to fix that little chip on the vase. Hammer. Screw. Cut. Forgive. And hold to heal that little broken heart. Until the pain fades away. Until the tears dry up and loneliness melts away. Just like Jesus. Just like our Heavenly Father. I love that story of the boy who tangled up his shoelaces on Max Lucado’s book, Next Door Savior. My friend Roy used to sit on a park bench for a few minutes each morning. He liked to watch the kids gather and play at the bus stop. One day he noticed a little fellow, maybe five or six years of age, struggling to board the bus. While others were climbing on, he was leaning down, frantically trying to disentangle a knotted shoestring. He grew more anxious by the moment, frantic eyes darting back and forth between the shoe and the ride. All of a sudden it was too late. The door closed. So tonight, even when I come with shattered, broken pieces in my hands. I know He wouldn’t turn me away. He wants to fix those broken pieces and make it whole again. I know that He sees through this broken heart . And I know He understands the tears. So come to Him. And take off that mask. He sees through your heart anyway. And He understands. Thank you so much for this post. Thank you for your honesty! It is comforting to know that our Heavenly Father wants to mend our broken hearts and that he won’t turn us away! Yes, Yoline! Isn’t it so wonderful to wake up everyday knowing that God accepts us and wants to heal the broken pieces? I’m always so blown away just thinking of that. I love the Psalms because David says so many things that seem not sweet or proper at all! And yet He was a man after God’s own heart. Thanks for the reminder that we can come as we are to the One who came for us! Hi Holley! I love Psalms too! Reading through the words of the Psalmist, I am reminded that we can come to God just as who we are. I pray I can have that same heart that loves the Lord so much and one that is broken before Him. Have a great day, Holley! This post is beautiful and powerful. It has given me a new lens through which to see Jesus. I love that He can and will untie the knots in my life when I ask Him. I am learning to trust Him more. Thank you for writing this. Donna, I’m so blessed to hear from you. Thank you so much! I feel the same way and I smile as I am reminded of His love. It feels so overwhelming that God longs to untie those knots and bring us freedom. Thank you so much for your ever encouraging word-craftsmanship. I had read myriads of your works and even if its kinda mushy, I would honestly say, “Sheesh! Boy, that was awesome!” But nothing would ever compare looking you in the eyes, exchanging life stories and quoting scriptures with you over a cup of coffee. I so admire you as a person and you have definitely touched lives by painting beautiful pictures through words. Looking forward to read more and to see you soon. Loved the encouraging words! Thanks for inspiring me today! Hello Cathy.. You are in the Phillipines and I’m in Florida – yet we both wrote about the exact same theme… broken pieces. Thank you for your sweet words to remind us that Jesus is sweeter yet.. a healer of all things broken. Feel free to visit my blog Blu Wings of Grace, my blog post was in June called “Broken Pottery Barn”. God Bless ! The thought of being half the world apart and yet in being “connected” because of the Lord amazes me! I super agree! He is the Healer of all things broken. I will check out your blog! Thank you, Melinda! Very beautifully-written and very true. God has encouraged me through at least three different people in the last few days to be honest with Him about how I feel, so thanks for being one of them. Hi Sarah! It`s really amazing how God embraces us and comes to us when we open our hearts to Him. I pray that you experience Him today in ways you haven`t experienced before! Love, Cathy. I want the love of God.